Announcement These toy box plans are truly some of the most unique children's toy box woodworking designs you will ever find. It's a toybox that becomes a toy too! These toy box plans are truly some of the most unique children's toy box woodworking designs you will ever find. It's a toybox that becomes a toy too! A journeyman carpenter by trade, I originally designed these toy boxes for my own two sons when they were younger. My oldest was fascinated with recycling and garbage trucks so I decided one day to try and design and build one for him. After I designed and built my first one, family and friends mentioned how great the design looked and encouraged me to put them out there for the world to enjoy. I hope you like the designs and have fun building the toy box. I also hope whoever you are building the toy boxes for will love them as much as my sons did. I originally designed a recycling truck and a fire truck toy box for my own two sons when they were younger. 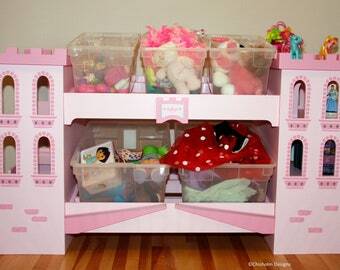 I hope you and your family enjoy these toy box designs as much as much my kids did.